“Dr. Anthony and his staff are very professional. 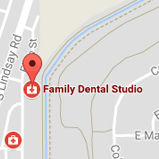 They put you at ease from the moment you enter into their dental office. You are greeted warmly and everyone is so friendly!” — Lorrie C.
“Best doctor. 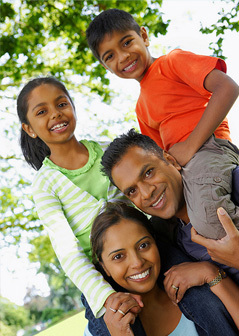 And best care.” — Purvi P.
“You all make us feel so welcome. We feel almost like family! Thanks for the TLC.” — Myra M.
“Dr. Anthony is great! He talks enough to be personable and friendly, but he doesn’t talk too much. Seems to be a competent dentist running a great practice.” — Emily M.
“The visit was handled efficiently, professionally, and with personal care.” — Doug J. “I really like going having Dr. Anthony as my dentist. He’s very talented and he’s so nice.” — Caroline C.
“I called in as a new patient and felt welcome on my very first visit.” — Ruby C.
“Wonderful, great, and friendly people.” — Marissa L.
“Friendly, welcoming staff. Clean, pleasant facilities.” — Jana S.
“Just downright good home-grown honest folks. Love them all!! !” — Carol F.